The Colorado center has just made public http://www.shroudofturin.com/shroud.html a very interesting document ” The Shroud A Critical Summary of Observations, Data and Hypotheses ” with many of the things we customarily discuss in this blog. Use this link [or click on the picture of the cover page shown here] to view the above titled PDF document. This is a large document so it will take a minute to download: View PDF . The document includes all of the important scientific observations from the STURP expedition. In addition, the most important data from research conducted by our TSC scientific team, other scientists, forensic and historical researchers, both before and after STURP, is included along with our comments and evaluation. We will maintain this document on a continuous basis. The document is designed to be revised over time to include all important new research findings and thinking on the Shroud. All changes will be documented in a formal log of changes to help support the user stay up to date on the Shroud. The document includes detailed references to source research material. The Critical Summary is a copyrighted document but you are given permission to print it for private and for non-profit educational purposes. If you have comments or suggestions regarding this document please send them to us by Email here(ShroudFacts@gmail.com). Maybe this time we should crawl through the document, item by item, day by day, pointing back in some cases to discussions we have already had like questioning the validity of the VP8 results, and passing along some suggestions for Version 4.0 someday. I’m hearing that we should see an updated version of A Critical Summary of Observations, Data and Hypotheses: Version 2.1, by Bob Siefker, Keith Propp, Ares Koumis, Rebecca Jackson and John Jackson. The updated version, as I understand it will be Version 3.0. I wonder if that blatantly ridiculous chart of 17 image characteristics versus several image hypothesis will stick around. I imagine it will. What else, maybe? I wrote what follows in December, last year. It will be interesting to see what has been improved this time. I was wondering if you were there when Robert Siefker dumped on you and your blog during his presentation in St. Louis. Do you have a response? 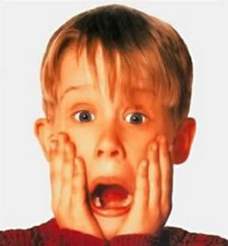 If I tell [someone] about the Pray Manuscript or somebody just casually mentions it as evidence for the shroud . . . [he] goes to where to find out? Where would he go? He’d go to the Internet. And how many potential hits will he get on the Internet? When you pull up Google it says I’ve got how many articles related to this inquiry Go do Pray Manuscript. There’s 2,300,000 different potential sites you can go to or indexes in their database for the Pray Manuscript. . . . Does that tell you maybe there’s controversy? Two million, what? Going online a little while later, I got the following page counts from Google: 1,340 pages for Pray Manuscript and 3,840 for Pray Codex (with or without Hungarian thrown in). Remembering that the French call it Le Codex Pray, I realized the need to consider other languages. Overall, I got about 5,600 pages scattered among less than one thousand websites. That’s a far cry from 2,300,000. That’s not to say there isn’t controversy. There is. But Google counts are NOT indicative of it. Where did that idea come from? There are, after all, 13,100,000 pages about chicken soup. Controversy? Well, yes: noodles versus rice. But, yes, there is real controversy about the Pray Manuscript. We know this from reading my blog. And then you start drilling down. And then you go to Dan. Forgive me Dan, for a second. 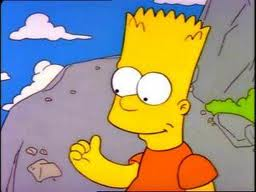 Then you go to Dan Porter’s blog and you say oh good, here’s a trusted source. I’ll inquire on Pray Manuscript and you get nine different articles or blog entries, and over 1100 postings, comments. And you start reading them. You’re going to go all over the board. And now you are a shroud neophyte. And now you are a shroud skeptic. Because you can’t find any answers. Skeptic? Is that bad? Sad? What? I was a shroud skeptic at one time and I’m glad I was. I remain a skeptic when it comes to many topics pertaining to the shroud, like the claims some make of seeing images of flowers on the cloth. Is that bad? It should be clear to everyone who reads my introduction in the right-hand column of every one of my blog pages that I think the shroud is probably authentic. Moreover, if you read my postings about the Pray Manuscript you should see that I think it is an artistic interpretation of the burial and resurrection of Christ based on the shroud and the Gospel narratives. 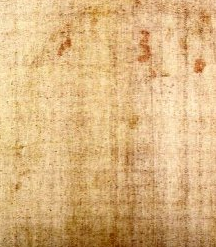 As such, I feel that the Pray Manuscript (Codex) is convincing evidence of the shroud’s existence more than a century before its first documented appearance in Western Europe. It is thus, also, convincing evidence that the shroud is older than the earliest date determined by carbon dating. But – and this is very important – in reading the comments of others, it should also be clear that some people disagree. Many who write those comments are well informed and highly qualified. There is a rational basis for their opinions. The fact that there is controversy is something that everyone learning about the shroud should be aware of when they weigh the evidence for themselves. “Because you can’t find any answers,” Bob wrote as criticism. Fair enough. Blogs aren’t logical to everyone. They are not like our familiar libraries with their now-electronic old-fashioned card catalogs. They are not like the books that fill those buildings. Nor are they like the online encyclopedias we have come to love and hate. Blogs don’t have the tables of contents or indexes that we are used to. But blogs can be very useful if we use search engines and take the time to read what people are writing. “And now you are a shroud skeptic,” said Bob. Really? I give people more credit than that. People don’t become skeptics because they can’t find answers. If anything it’s the other way around; people will believe all manner of things because of a lack of information. So there should be a credible way. Dan’s blog provides a tremendous resource for the shroud community and those who have a grounding of some basis, but don’t ever tell a first person that you’ve talked about the shroud, oh go to Dan’s blog and you’ll learn about the Pray Manuscript. You just can’t do it. Well, yes, you can. But it doesn’t happen. The reality of the Internet, like it or not, is that most people will go directly to Wikipedia. Or they may search for “Pray Manuscript” in a search engine and, surprise-surprise, they encounter Wikipedia’s article at the top of the results page. If they are a neophyte, that is where they will most likely begin. They will begin withWikipedia. That’s it. And, actually, it is quite accurate and economically informative. It is not, however, sufficiently detailed for a careful evidentiary analysis. Moreover, the phrases “sometimes claimed” and “may serve as evidence” imply uncertainty. The phrase “supposed fabric” addresses a point of controversy with regrettably no elaboration. Indeed, we might say, all three phrases tell us there’s controversy. There is controversy. That is a fact! Shouldn’t the neophyte know about that? Shouldn’t everyone know there is controversy? Are some of us so afraid of someone becoming a skeptic that we don’t want them to see both sides of the story? The page about the Pray Manuscript in the Critical Summary suggests that there is no controversy whatsoever. That, in part, is why I cannot recommend the Critical Summary to someone just learning about the shroud. It is inadequate for the task of introducing anyone to the codex. Don’t get me wrong; this document contains an excellent write up about it. I’m convinced that much of it is correct. But there are points I don’t agree with like Mechthild Flury-Lemberg’s opinion that the painter of the illustration in the codex must have seen the shroud. I don’t think I’m alone in wanting to know what others think. I’m sure that I’m not alone in wanting to know more. The Critical Summary ignores that. The Critical Summary is simply too elementary and too much of a one-perspective proselytizing document. Go back to what Bob said in the first minute or so of his talk. I didn’t become a skeptic because I couldn’t find the answers. I became convinced of the legitimacy of the Pray Codex and its importance as evidence of the shroud’s earlier provenance only after I examined both sides of the questions about the codex illustrations. The blog helps me do that. Barrie, that’s where you want your people to go next if we haven’t told the story about the Pray Manuscript in our document maybe. I would like to agree. The problem with Barrie’s site (shroud.com) is that it doesn’t contain many of the latest papers. It doesn’t contain any real discussion about the topic. That is not a criticism. It is a statement about the changing nature of the internet. Other sites, such as Academia.edu have become increasingly popular with authors because they can self-publish when they want to, revise papers without having to wait for update schedules and use social media. There are discussion facilities and direct connections to Twitter and Facebook. Many other papers are published on conference sites or in journals. It would be nice if shroud.com could be the one go-to site because it is a great site. More and more so, it doesn’t really matter where papers are archived. It is all about how they are found and accessed. 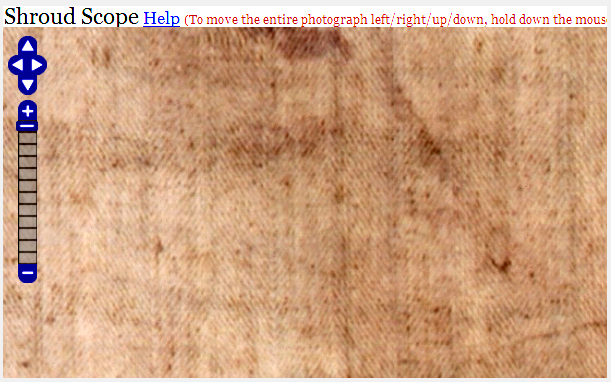 Try this in Google: <site:shroud.com “pray codex” OR “pray manuscript” filetype:pdf>. Now try it without the site specific limitation. The counts are 34 and 506 respectively. Academia.edu has 27 papers on just the Pray Manuscript. Why would you not want to at least consider those? (Note: OR must be uppercase). There is another consideration. It pertains to peer review and the trend towards better review systems. But that’s a subject for another day. When it comes to the shroud, I believe that every fact and observation, every ancient picture and document, every hypothesis and speculation, everything we think we know and think we don’t know must be questioned. 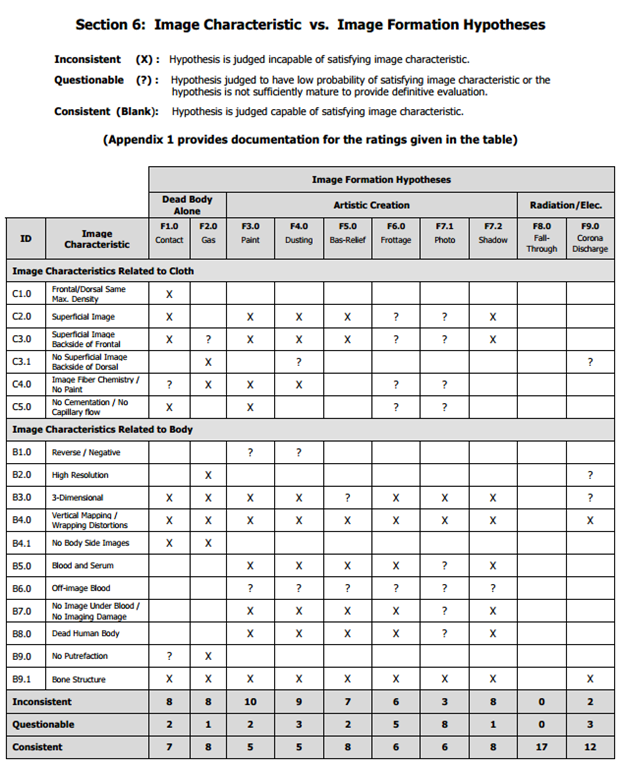 Dr. Siefker’s chart [in his paper] evaluates ten hypotheses against a short list of only seventeen image characteristics. Dr. Siefker said of his paper [it] was a utility for all of us. No it is not. It is a biased defense of Jackson’s theory and nothing more. Do you think people will find it methodically suspicious that only Jackson’s cloth falling hypothesis matches 100% of all image characteristics and that no other hypothesis comes close? The folks at Colorado Springs want feedback. The second page of the summary states: “We welcome comments, but we can only consider those that are substantive and that are emailed directly to our website (via the Shroud Data tab).” But that tab merely asks people to send comments to an email address, ShroudFacts@gmail.com. If the goal is progress in our understanding of the shroud, whatever the truth may be, then transparency and open dialog is called for. Today, newspapers, magazines and even highly respected journals welcome online comments in the clear. Authors mix it up with readers and offer clarifications. Readers mix it up with each other and many people benefit from the opinions of others. If, on the other hand, the objective is controlled marketing of an idea then, fine, we-welcome-comments-but-we-can-only-consider-those-that-are-substantive-and-that-are emailed-directly-to-our-website will work for the authors of this paper. The paper is a locked up PDF so you can’t easily quote from it which is not a good idea for promoting ideas in this day and age. If you want to do some fair use quoting you will need to retype the material or OCR it (Microsoft Notebook works perfectly on whole pages). . . .
For these many other reasons, as well, I cannot recommend the Critical Summary to anyone, particularly “a shroud neophyte.” But do have a look and try to keep an open mind. Maybe this time we should crawl through the document, item by item, pointing back in some cases to discussions we have already had like questioning the validity of the VP8 results, and passing along some suggestions for Version 4.0 someday. Should we be rethinking the VP8 and 3D images? Todd, a reader of this blog, just yesterday posted the following quotation from Peter Schumacher. 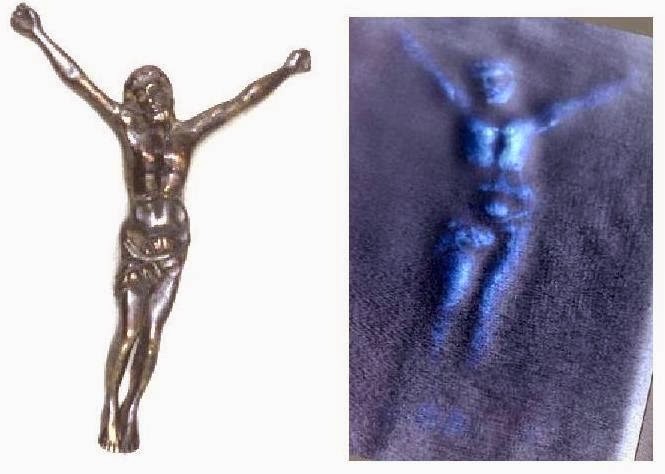 It’s from a 1999 paper by Pete entitled Photogrammetric Responses From The Shroud of Turin. [John] Jackson, with the help of Eric Jumper (both on active duty and teaching at the U.S. Air Force Academy) used a VP-8 analog computer furnished by Pete Schumacher, an engineer with Interpretation Systems, Inc., to make a brightness map of the Shroud image. Then they tried to do the same thing with photographs of people and objects. Pete tried. Others tried over the years. Everything else was distorted; no real 3D. There was, among those who understood that a normal painting or photograph of a person or object contained brightness information that was representative of reflected light while the image on the shroud contained brightness information that was not that but rather seemingly spatial data, a sense that the argument was safe. It has been repeated and restated over and over by others. “OK Hugh [Farey],” wrote Todd, “Maybe you can respond to this quote. I ask again that you provide published evidence to refute this claim. As long as we continue to think of just regular paintings or photographs of people or normal objects – and we ignore the cries from the fallacy police – we are on pretty safe ground. It cannot yet be refuted. But Colin Berry didn’t do what others had done. He made a scorch of an object on cloth. And he found that that scorch behaved like (or pretty much behaved like) the image on the Shroud of Turin. 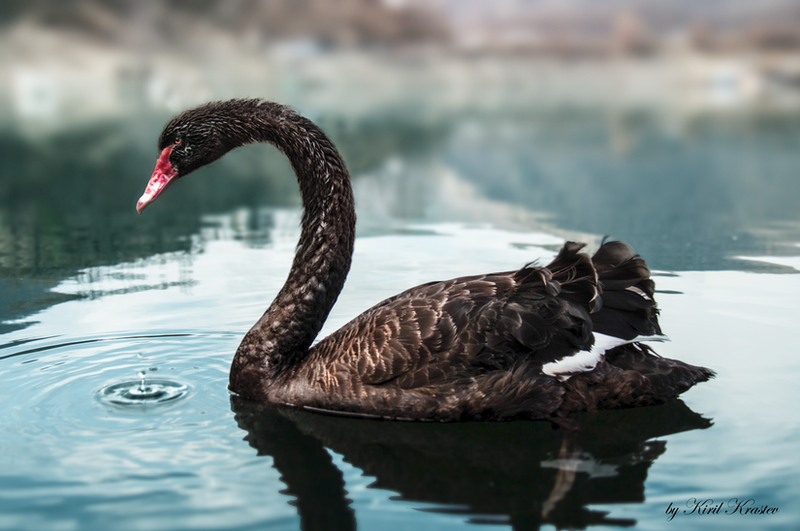 Colin found a black swan and we couldn’t say any longer that all swans are white. That is published evidence; it is published on Colin’s blog and reshown here. It is not a painting or a photograph of an object; it is a scorch. If we continue to speak only of normal paintings and photographs we are still on safe ground. But we have to drop the idea that the shroud image is unique. It isn’t. While we are at it, maybe we can drop the other fallacy, namely that the 3D data represents body to cloth distance. That has not been shown to be true. 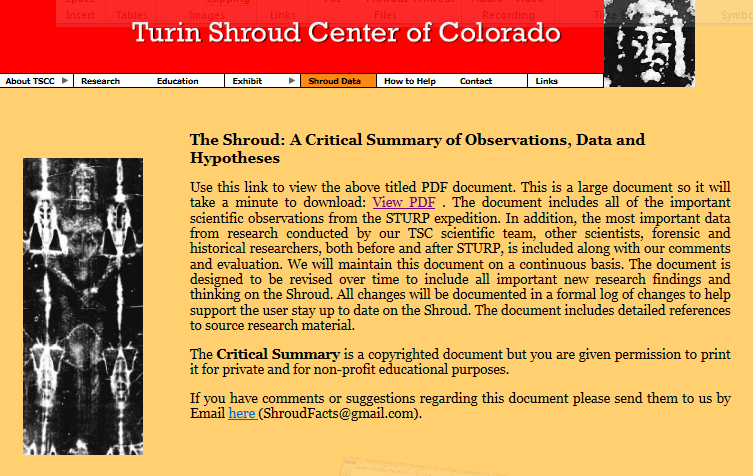 In 2013 The Shroud Center of Colorado (TSC) posted Version 1 of a new document on its website entitled The Shroud: A Critical Summary of Observations, Data and Hypotheses. Version 2, including updates to exiting materials and a new section on Shroud History, should be available by the time of the St. Louis Shroud Conference and it is our desire to present Version 2 at the Conference. . . .
As an organization TSC has studied the Shroud for literally 10’s of thousands of hours and the publishing of the Critical Summary is part of the effort of the organization to make our understanding of the Shroud available to the serious inquirer. 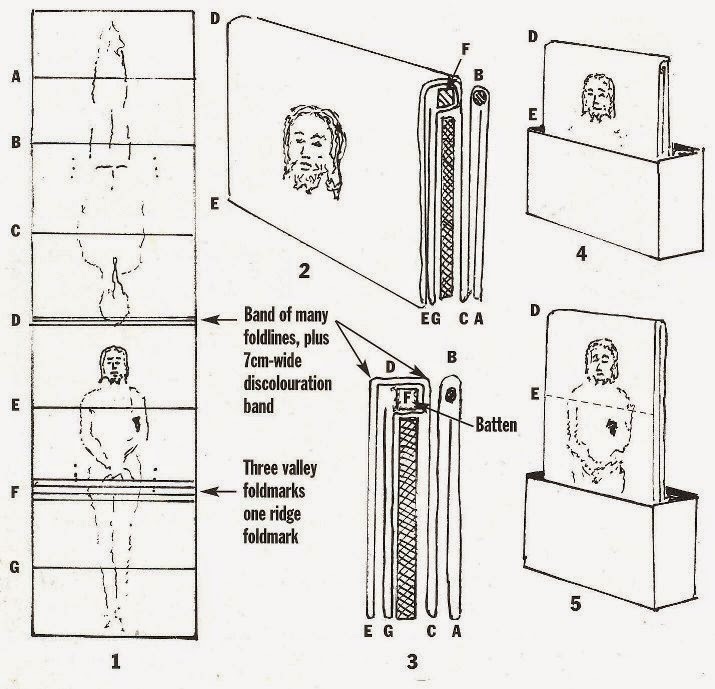 We disclose in the Critical Summary that TSC as an organization holds that a critical assessment of the totality of currently available data on the Shroud supports the judgment that the Shroud of Turin once wrapped the body of Jesus of Nazareth. Nevertheless, we respect the autonomy of each person to formulate his or her own judgment concerning what conclusions the data leads him or her to. Unfortunately, many people make a snap judgment concerning the Shroud based on only one or two pieces of data, the publishing of conflicting hypotheses or simply their inability to get their arms around the large corpus of Shroud “data”. The Critical Summary is a fairly long document, pushing 100 pages, but we believe an individual must spend at least a number of hours in studying the extensive evidence related to the Shroud in order to begin to form his or her own judgments and arguments concerning this fascinating object. Click on the title to read the full abstract. Click here for the conference home page. I just finished reading Dr. Colin Berry’s criticism of the Shroud Center of Colorado and the paper it just published entitled, “The Shroud: A Critical Summary of Observations, Data and Hypotheses,” by Robert W. Siefker and Daniel S. Spicer. With one hand held behind my back I applaud Dr. Berry. Had he done the work he demands of others to advance his own mostly visceral notions about scorching then my applause would have been thunderous and I would have been on my feet. I should explain something about myself. I am a physicist (and because of my significant position in a large corporation I would prefer that you not publish by name). I am also a theologically liberal Christian. For instance, I believe that the resurrection of Jesus was physical only in the sense that the body was buried in a tomb that was later found empty. Moreover, this was not because of theft or because his followers forgot which tomb it was. Nor was it because Jesus swooned and recovered. To try to add one jot to the story by imagining new scenarios us folly. This includes dematerialization and speculative resurrection products like radiation, light, heat or anything. To try to prove any of this using the shroud and because of the shroud and thus even trying to prove the resurrection is double the folly. Nonetheless, I am almost certain that the shroud is the genuine burial cloth of Christ. And I am just as convinced that no one yet has even imagined how the image was formed. That is just as true if I a wrong about authenticity. I should mention that Dr. Berry may have misunderstood the use of “luminance distribution” by Jackson and the Colorado authors. Thus Dr. Berry seems completely confused which leads him into an irrelevant discussion about photochemistry. 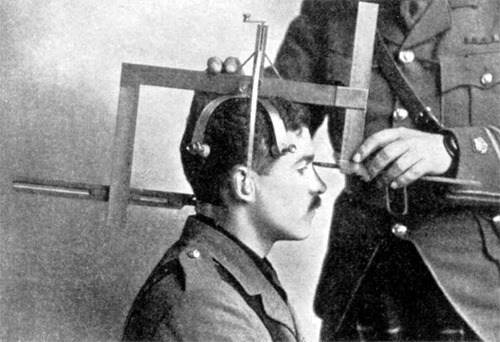 Luminance, as I think the authors used the word, means the amount of reflected light as measured by a densitometer. It has nothing to do with how the image was formed. Dr. Berry should correct this or explain why he is not confused. I should not be too critical of Dr. Berry for misunderstanding the all too sophomoric Colorado paper. It is confusing. And the bit about KHS and KC, as they say in the Master Card ad, PRICELESS. BTW. Dr. Berry is every bit as agenda driven as those he accuses. They say it is hard for a scientist to notice this in himself. I think you are being excessively mean. I agree that the [Siefker and Spicer] paper is a bit weak, but what is the point in drumming on day after day with picayune criticisms? My intention is not to be mean. I think people who know me know this. The paper is unfortunate. What makes it appear that I am being mean is that the paper was written by two good people with the best of intentions. Others, I believe, who knew better, and were in a position to do so, should not have published it without some serious editing. The authors also could have sought input from others as they wrote the paper either in the relative privacy of the Shroud Science Group or in a public forum such as this blog where give and take is the norm. It seems to me that a positive thing to do with this paper over many days and weeks ahead is to take one item at a time, maybe one-a-day or so, and discuss it in this blog (or re-discuss it or choose to ignore it). And there will be no let up on the many other things that get posted like this wonderful new Guest Posting by Kelly Kearse: Distinguishing human blood from that of other species. The fact of the matter is that the paper is published in a public place. The authors should know it will be criticized. They are welcome to join the discussion. I would love it. Perhaps calling each days’ item the “teaser” of the day was insensitive. Okay, it will be the topic of the day henceforth. If I’m mean, I don’t mean to be, so call me out on it when I am. Teaser of the Day: Front and back images show almost the same color intensity. Or do they? Teaser of the Day: Under the guise of being an objective “established” observation. Teaser of the Day (#4): Body image in noncontact zones? Gripping? Well . . . Thanks for the laugh. But the comment, in its entirety, is completely worth reading if you missed it the first time around. And so we ask again, what is right or wrong with Item 2.0 from page 9 of The Shroud: A Critical Summary of Observations, Data and Hypotheses, by Robert W. Siefker and Daniel S. Spicer? Article I.2.0.A. The normal tones are reversed. The normal tones of what? Of body parts? I’m not light on the nose and dark in the cheeks. Article I.2.0.B.The parts of the body closest to the cloth left the darkest marks. Sorry, but from a critical viewpoint you can’t just assume that a body was present to make the marks. Parts of the body which would have been closest to the cloth if the image was made by a cloth lying over a body? Sorry, can’t allow that either, as the cloth could have been horizontal or draped or wrapped. 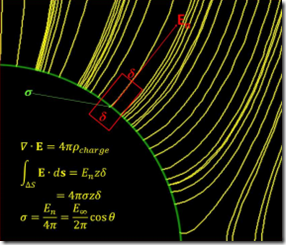 Parts of the body lying closest to a theoretical horizontal plane level with the tip of the nose? Sorry, but you need also to specify if the body was also horizontal. Were the knees, for example, higher off the floor than the nose or not? Parts of the body which would have been closest to a horizontal plane level with the tips of the knees assuming that the body was lying in a slightly knees-up position with the head also slightly raised? Er, no, as the head and particularly the nose is generally assumed to be the darkest area, and the knees would be much more prominent than the hands, for example. Parts of the body which would have been closest to the cloth if the cloth had been draped over the body? Back of the head? Sides of the hair? Sorry. Article I.2.0.C. The image has the characteristics of a photographic negative. Of a monochrome photograph of a person taken full face with a light source directly in front and a black background. Although we are often told that real photographs of people under just those conditions do not look like the shroud, as the 3D image derived from them is unconvincing. If this is true, the shroud does not have all the characteristics of a photographic negative. I concede that it does have some; rather general and rather subjective. Article I.2.0.D. The contrasting photographs. The negative is clearly not the negative of the positive, but a different photo altogether. It is also printed at a different size. A “true” negative would have the famous “epsilon” blood stain pointing a different way. UPDATE: Hugh Farey sent a couple of screen scrapes from Shroudscope that may help some of see the similarity. They are beneath the fold below. What is right or wrong with this material from page 9 of The Shroud A Critical Summary of Observations, Data and Hypotheses, by Robert W. Siefker and Daniel S. Spicer. The front and back images of the body show almost the same color intensity (yellow-brown), i.e., at first sight, we cannot appreciate, which image is the more evident, front or back. To the naked eye it is difficult to distinguish between the intensity of the frontal and dorsal body images. We believe this observation demonstrates that neither cloth-body contact nor the weight of the body on the cloth significantly affected the image formation process. What doesn’t sit well with me is the blatancy of the assumption that “neither cloth-body contact nor the weight of the body on the cloth significantly affected the image formation process.” If later in the paper certain artistic image forming processes are to be entertained (as they are and rightly so) such as painting, photography and Luigi Garlaschelli’s method, then it is only appropriate to not poison the well with an obvious image of a human body enshrouded. To the authors’ credit, this is limited to a comment. Such rhetorical shenanigans should be avoided. Simply leave off the last sentence of the comment and this item is probably an established fact. Or is it? 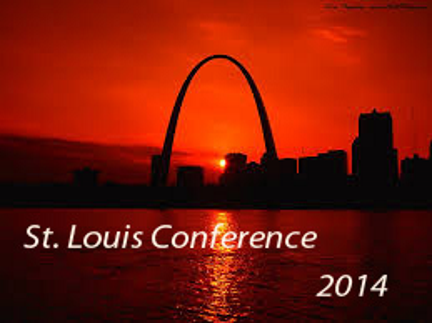 Experts from around the world met in St. Louis, MO for the first US conference on the Shroud of Turin since 2008. Here are over 40 papers covering aspects of science, medicine, art and history. 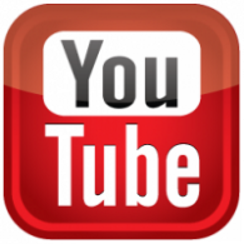 Hear and see the latest research in streaming video. Daniel Spicer, Ph.D. and Edward Toton, Ph.D. The prodigious painting "From the Impression of Jesus"
Shroud, science and : dialogue or conflict? Spectroscopic Analysis of Fibers from the Shroud of Turin–What Do They Mean? by Jon Schoonover, Ph.D.
the cloth was possibly folded in half along its length three times such that the face, and only the face, appeared on the outside. This, of course, lends credence to the term tetradiplon. It also comports with the idea that the shroud may have been stored folded in a reliquary with a grate, so as to show only the face. the cloth may have been been an inspiration for the Man of Sorrows icons that show Christ rising out of a coffin-like container. I have been giving this some thought. What did the Critical Summary actually say? One of the tasks undertaken by the STURP team was to take raking light photographs of the Shroud. Linen has poor elasticity, explaining why it wrinkles so easily. Thus, linen cloth has sort of a memory that can reveal how the cloth has been folded (see item H 13.0,2). . . . Okay. That seems probably so. Jackson has studied the fold lines, some of which are as sharp as a straight edge and show discoloration as would be expected if folded over the edge of a wooden block or batten, as illustrated as "F” in the diagram below. Words like “discoloration as would be expected if” sound speculative, not evidentiary. At least, it is not strong evidence. Jackson’s team developed a computer program that maps prominent folds found on the Shroud related to the Man of Sorrows Icon. These folds have been found to be consistent with the design of a lifting device that could have been used for raising the cloth. In [Constantinople’s Pharos] chapel Christ rises again, and the sindon with the burial linens is the clear proof. I’d like to think there is some connection. I’d like to think this is all true. 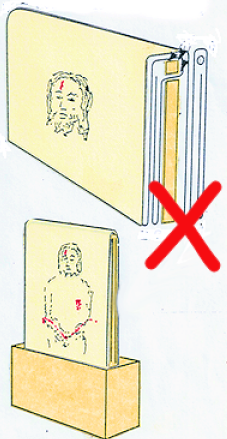 But the imagined device (click on the image on the right), while illustrative of a possibility, seems far too tentative to be in an evidence table. So what are the fold marks really evidence of? How good is the evidence? This rating is given to items of evidence that are firmly supported by empirical and/ or forensic research. To receive this rating there must be multiple corroborating research sources. Yet when I look at the references I find only one paper by Eric Jumper and two similar popular books by Ian Wilson. Unfortunately Wilson uses material “deduced by Dr. John Jackson.” While not exactly a circular reference, it’s close. There is not much to go on. Some people might not like the fact that we’ve rated this class 1 evidence but we’re in the heart of the belly of the beast. I’ve seen those folds. I’ve seen the marks. I’ve seen the razor thin nature of those folds where the “F” block is. I’m not only rationally convinced that the scheme is right, I’ve seen close evidence and had it very deeply explained to me. I’ve been very lucky to be in the belly of the beast, over here [pointing to], John Jackson. So? Can I see the folds? Can anyone see the folds? Are the photographs online? Can we examine the computer program’s logic? Without some illustrative photographs of the folds, without an explanation of what the computer program does, I’m thinking the entire item, L6, should be demoted. Without some supporting evidence of a cloth-raising device being used, the speculative diagram should be removed. It is evidence of nothing. 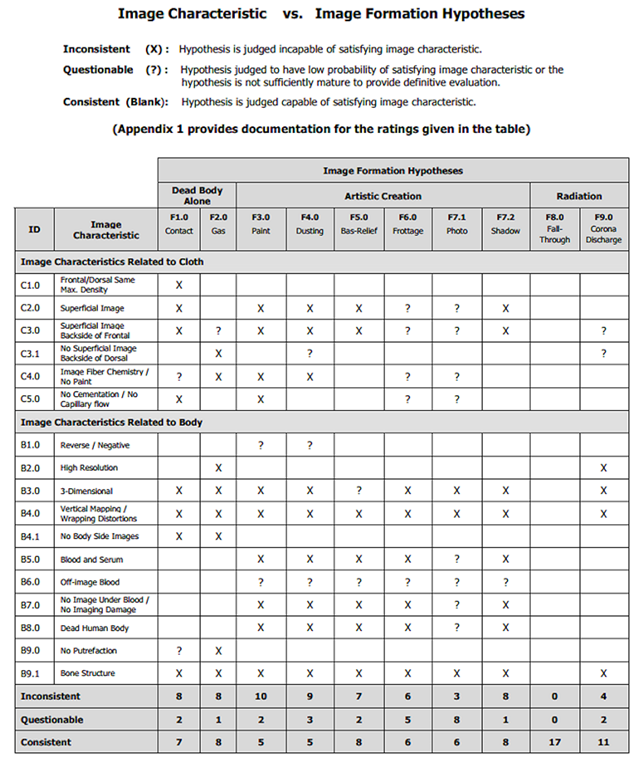 Dr. Siefker’s chart evaluates ten hypotheses against a short list of only seventeen image characteristics. Dr. Siefker said of his paper was a utility for all of us. No it is not. It is a biased defense of Jackson’s theory and nothing more. Do you think people will find it methodically suspicious that only Jackson’s cloth falling hypothesis matches 100% of all image characteristics and that no other hypothesis comes close? Suspicious? No. Disappointed in the methodology? Yes! See Déjà vu or what? Hmmm! Someone could put up a webpage for each characteristic, each hypothesis, each historical item and so forth, with an appropriate explanation, and invite discussion; make the labels match those in the paper so people could look it up in the paper. Hmmm! The full paper is 106 pages, with lots of tables, making it a bit unwieldy. You might want to save it to your computer or better yet put up a copy on the Google Cloud. I also loaded up a copy on my Kindle. That works pretty well but the page numbers are messed up. The paper is a locked up PDF so you can’t easily quote from it which is not a good idea for promoting ideas in this day and age. If you want to do some fair use quoting you will need to retype the material or OCR it (Microsoft Notebook works perfectly on whole pages). Again, see Déjà vu or what? Note: I have corrected the spelling of Bob Siefker’s name in the email above rather than annotate the error with (sic). I carelessly repeated the error in my own comments and have corrected that as well. Note 2: The URL for the Critical Summary was changed on October 19, 2014. This page has been updated. The last presentation was Robert Siefker’s excellent explanation of The Shroud: A Critical Summary Of Observations, Data And Hypotheses Version 2.0, a document published by the Turin Shroud Center of Colorado headed up by John Jackson. More on this shortly in another posting. It was a good conference. All of the presentations were very good. Most we’re excellent. A few were outstanding. Some, to my particular way of seeing things, were particularly notable for one reason or another. I’ve already mentioned Andrew Silverman’s mind consciousness talk and Ray Schneider’s overview of significant evidence in earlier postings. There were others. Saturday afternoon: When Bob Rucker finished his extended talk, MCNP Analysis Of Neutrons Released From Jesus’ Body In The Resurrection the applause was seismic. In closing, he mentioned that he had a few handouts of his slides. They were gone in 15 seconds as people all but climbed over tables to grab them. I was approached by several people to see if I would publish his PowerPoint now because nobody wanted to wait until the conference papers were published, probably in December. Bob has given me an electronic copy of 54 of his charts and is writing up notes of what he said. When I get it I’ll post the whole thing here. So watch for it. 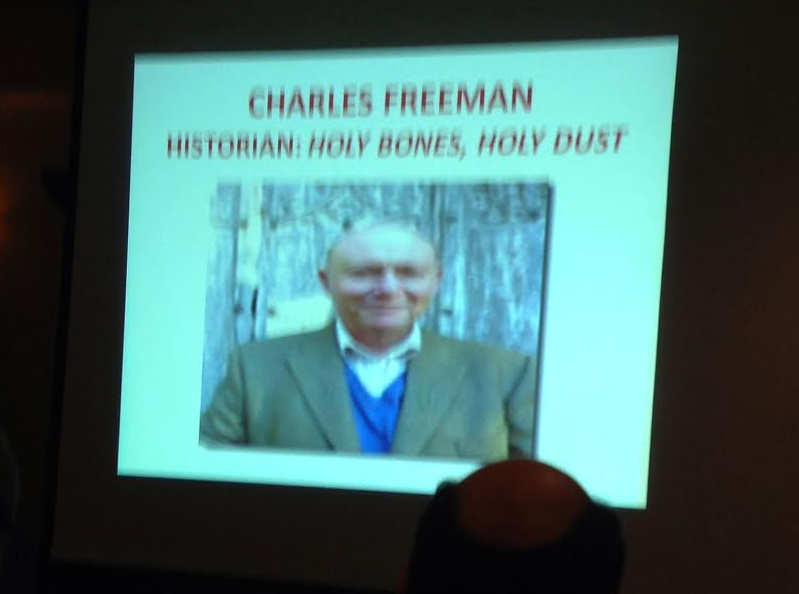 Sunday morning: Nothing will wake you up like a ten foot tall picture of Charles Freeman at 8:00 in the morning (see picture above). It was one of the slides Jack Markwardt used in his most outstanding special presentation, Modern Scholarship And The History Of The Turin Shroud. This is a big deal. If Jack is right, and indeed he may be, we may need to completely rethink the history of the shroud before it arrived in Western Europe. We may need to reconsider the notion that the cloth was “doubled in fours” or whatever definition we have been using for the word tetradiplon. We may need to reimagine what happened before, during and after AD 944. Still Sunday morning: Barrie Schwortz gave an eight minute talk about Ray Rogers. Strip away any mention of the shroud, as Rogers did in his work-a-day world, and you find a brilliant and dedicated scientist admired by his peers at Los Alamos. Thanks, Barrie. It needed to be said. For now, and until we can get Barrie’s full presentation, lets not have any comments on Barrie’s talk. As for comments on Bob Siefker’s presentation, let’s wait for a subsequent posting on the subject, maybe later today. And, as for Jack Marwardt’s new historical theory, let’s wait for the actual paper to be published because this is potentially seminal. Much more to talk about. O.K. commented in my posting, The Myth of the VP8 and 3D Uniqueness? A lot of confusion is there. It is perhaps because the common way of lecturing about the Shroud, is a historical approach, in 1898 Pia discovered negativity, in 1970s Jackson & Jumper discovered 3D with VP-8 etc. This is actually misleading, creates a hype, and in my opinion asks the wrong questions. How to make an image that is a photographic negative, 3 D rendering, without contours, isotropic, etc. ? There is always a way to do it regarding the individual properties -but resulting images have actually nothing in common with the Shroud (besides this single selected characteristic). In my opinion, the issue should be lectured in more modern, compact way? The problem is: what constitutes the image on the Shroud, what makes it so specific? What are its basic components? 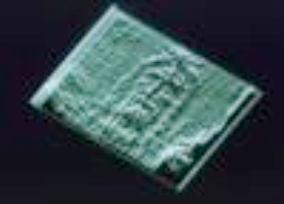 And ONLY THEN ask a question: what are derived properties (like negativity or 3D) of such an image. O.K. may be right. It is certainly a form of discipline that might eliminate the confusion. But the problem is bigger than that. It’s the “Wild West” nature of shroud research since STURP, a land of scientific lawlessness and tall tales where the closest things to order were the “O.K. Corral” shootouts called conferences. What did this atmosphere produce? It produced the “I think I see” world of imagined images of ancient coins along with all manner of bric-a-brac, of plants from ancient Israel, of teeth and ponytails and of written messages in Greek, Latin or Hebrew — all these being wishful misperceptions or pareidolia. There were the dubious pollen charts and the radiocarbon dating fiasco. There were the tall tales: NASA analyzed the shroud, Ray Rogers was a general in the Air Force, America’s greatest scientists studied the shroud, and so-and-so was a Nobel prize-winning physicist. And it produced a lot of good science, too. Often that was overshadowed by the sensational. This spatial data encoded into the image actually eliminates photography and painting as the possible mechanism for its creation and allows us to conclude that the image was formed while the cloth was draped over an actual human body. spatial data encoded into the image: Is calling the data spatial not begging the question? Would it not be better to say relative greyscale values of the image that when plotted as relative distances from a planar surface suggest three-dimensionality, suggest spatiality. eliminates photography and painting as the possible mechanism for its creation: That is simply not true, as has been shown on on this blog. One might argue about how difficult or unlikely it would be. But a blanket denial that it is possible is misleading, at best. allows us to conclude that the image was formed while the cloth was draped over an actual human body: Conclude? How so? Not so if the cloth was draped over a statue or if the image was formed by some unusual photographic or artistic method that produces the right kind of relative greyscale values. Being precise makes it more difficult to read. But compact imprecision leads to misunderstanding and to the dogmatism. And then there is the Wild West’s Colorado Springs, once a place to soak in curative waters, and then a place to pan for gold, and now the home of the Turin Shroud Center of Colorado. Here is a brief statement from a document, The Shroud of Turin – A Critical Summary of Observations, Data and Hypotheses on the TSC website. I call this the Rube Goldberg miracle; you know, where a miracle happens, that causes a body to become mechanically transparent allowing a cloth to fall through it and get a controlled dose of radiation. Consistent: [= in context The Fall-through hypothesis is consistent with the 3 Dimension attribute of the image.] The initial draping configuration of the Shroud over a body establishes the initial cloth-body distances. If, then, the Shroud overlying the body falls into the body region, different points on the cloth will intersect the body surface at different times depending upon how far that point was originally away from the body. Thus, each cloth point will receive a radiation dose in proportion to the time that the point is inside the emitting body region. Since that time is inversely proportional to the initial cloth-body distance, it follows that the radiation dose, and hence image intensity, is likewise inversely proportional to the initial cloth-body distance. Correlation of image intensity with cloth-body distance is consistent with the Shroud VP-8 3-dimensional effect. I was just wondering: what is the body like at this stage of the miracle? Is it a liquid that holds it’s once-solid shape or a gas or something specifically miraculous? Does the part of the cloth under the body fall upwards? What type of radiation works best for resurrection miracles? What happens after the cloth has finished its fall? Is a mechanically transparent body able to pass through locked doors yet walk on the road to Emmaus and eat fish? Those are the questions that come to mind. Silly, perhaps, but they do come to mind. Let me put it this way: I cannot begin to imagine that I will ever believe this. I believe in the Resurrection and I may believe the shroud is real but I cannot believe one word of Fall-Through hypothesis. If you haven’t read The Resurrection is Just Too Mysterious to Be Described & A Response to Dr. Colin Berry, you can’t understand where I’m coming from. A Guest Posting by O.K. the Shroud’s image formation, with comparison to extraordinary claims regarding other sciences (here: astronomy). • Instrumental effects or data reduction artifacts? So why the media hype? Because, according to some speculations, the observed light curve is also consistent wit a sci-fi kind scenario, namely the alien-built megastructure Dyson swarm orbiting around the swarm. This is also a kind of “explanation”, which can be tested, but -not surprisingly -the term “aliens” does not even appear in Boyajian et al. paper. Natural hypotheses are preferred first, which is -quite natural, actually. Scientists are rather expected to examine ordinary explanations (instrumental or natural phenomena) for unexpected observations, before going to extraordinary (extraterrestail life and advanced intelligent civilizations) – because as catch phrase says “extraordinary claims require extraordinary evidence”. Or should we go straightforward to the aliens, and claim that we “discovered” 1 them, citing as proof the atypical light curve of some star, which can be fitted to alien megastructure scenario (and disregard other explanations)? What all of this has with regards to the Shroud? Simply in sindonology there is a notable camp that claims the image on the Shroud can only be explained via some effect directly associated with Resurrection (John Jackson’s “Fall-Through” hypothesis, Mark Antonacci “Historically Consistent Method”, various other scenarios involving radiation, neutron burst and so on). These claims have been raised again recently -just see shroudstory.com entries from the few last days: Proof of the Resurrection?, October 31, Bob Rucker: A Burst of Radiation Did Three Things, October 30. Plus recent editions of Colorado’s Center Critical Summary 3.0, and Mark Antonacci’s new book. And I just ask: should we go straightforward to the aliens? Don’t understand me wrong, I do not deny that those scenarios may be correct. I don’t deny that there indeed may be Dyson swarm around the star KIC 8462852 either. Simply: should we go first to extraordinary “Resurrection effect” explanations, or carefully examine all naturalistic theories first? Primacy of naturalistic explanations does not exclude the Resurrection event. Paul Vignon, for example, was a devout Catholic, but tried to explain the origin of the Shroud image in purely natural terms. He did not succeed, indeed, but this not lead him to accept so easily supernatural explanation, ignoring all more or less plausible natural scenarios. Had astronomers abandoned their attempts to explain atypical light curve of KIC 8462852 via purely natural means, instead jumped right to the aliens theory, everyone would consider them crazy eggheads. But in sindonology, going right on to the supernatural, without carefully considering everything else first, seems quite common, to my dismay. But of course, the analogy is not fully corresponding. “Extraordinary claims require extraordinary evidence”, yes. But the Shroud is extraordinary on its own. It isn’t just some star, even with the most peculiar light curve. It isn’t just some cloth. It’s a cloth with a image of Man corresponding to what was described in the Gospels -which proclaimed Jesus (suffering the same way as the Man of the Shroud) the Savior and God Incarnate. So maybe in case of the Shroud a different approach is justified? Dan Spicer: We have a simple explanation. Look at p. 14 in our paper from St. Louis. We have a simple explanation. That would be Electric Charge Separation as the Mechanism for Image Formation on the Shroud of Turin: A Natural Mechanism by D.S. Spicer and E .T. Toton (Revised 23 May 2015) as found at shroud.com. We advance the hypothesis that a constant, or slowly varying electric field was present in the tomb and that the two stated facts provide the underlying mechanism for formation of an image with vertical displacement information: the revealed surface charges on the Shroud serve as collection sites for polar gas molecules or ions emanating from the body or from the aloe and myrrh that had been applied before entombment, substances that could serve as oxidizers or other active species for inducing visual surface alterations, and the extension of the electric field in the vicinity of the surface of the body out to distances away from the body would provide mapping of surface features of the body onto the non-conforming (tented) portions of the Shroud. As should be clear, our hypothesis depends on a completely natural mechanism. It does not conflate the image formation mechanism with the Resurrection, nor should it. The image is not the recording of the Resurrection but it is an image capture of the body of a crucified man consistent with the historical records of the crucifixion of Jesus Christ. That no hitherto satisfying mechanism for image formation has been discovered is not proof that a supernatural explanation must be the only other choice, nor does the discovery of a credible mechanism of image formation impugn the belief in the reality of the Resurrection. If it were possible to take a photo of the Ascension-where is the miracle? Is it the Ascension or the photo of it? We believe that the Shroud Image is indeed the image of Jesus Christ’s lifeless body only and it strengthens the historical argument for His existence, death, and His Resurrection. Observers of the ventral side of the Shroud often comment on the detail in the hands and how long the fingers appear to be. Our mechanism for image formation explains this in a very natural way. First of all, there had to be considerable trauma to the hands and arms as a result of the crucifixion. They were elevated considerably above the rest of the body throughout the crucifixion and the arms must have been severely traumatized by having to manage the full body weight. Circulation had to be compromised and it would certainly be the case that the hands and forearms would have been considerably dehydrated due to profuse sweating, which would lead to a desiccated state for both the hand and forearm tissues, which, as a result, would reveal the underlying bones. In addition, this would have been much more pronounced than anywhere else on the body, with the possible exception of the mouth and lips. As a result of the desiccation state of both the hand and forearm tissues, the bones making up the hands and forearms would form prominences so that the surface charge density would naturally be greater on these body features, leading to sharper and high contrast images. When in the full light of the day, a paper is examined under a magnifying glass, that light, focused on one spot, may ignite the whole paper. That maybe will happen with Critical Summary 3.0. 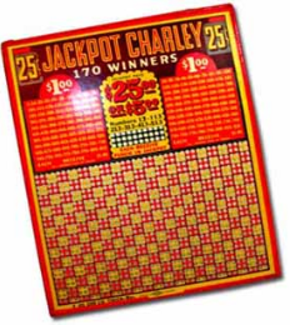 * The spot is the chart on page 73, Image Characteristics vs. 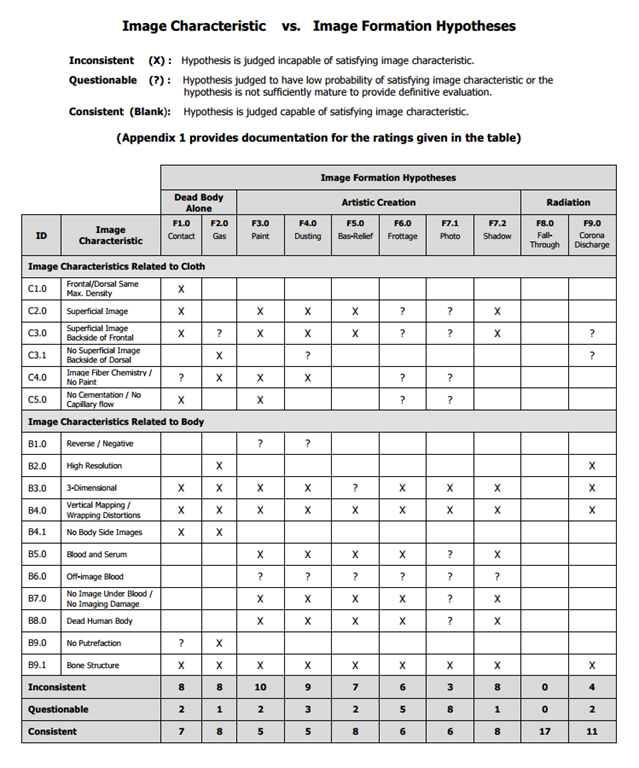 Image Formation Hypotheses, that attempts to claim that only John Jackson’s Fall Through hypothesis “is judged capable of satisfying image characteristics” – that is, seventeen image characteristics selected by the paper’s authors. The maximum range for imaging is in my opinion (based on analysis of distances of my facial features), as well as Vignon’s no more than 1-2 cm (Jackson & Jumper 3.7 cm is clearly untenable). Based on 3D plot we see that the metacarpal gaps have a greyscale intensity of ~ 90-100 (they are white), while metacarpals, and fingers are about 150-160 (green-yellow). This would indicate level difference of maybe ~5 mm. Quite possible, especially for dehydrated hands. No X-ray is needed here. The authors of Critical Summary carefully use the word judgment. That’s appropriate. But we must realize that this is the judgment of a small team in Colorado, albeit a distinguished scientific team that understands the shroud. 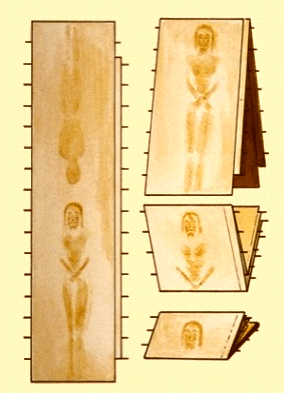 It is not the judgment of the wider community that studies, ponders and debates how the images on shroud were formed. I think that much, if not most, of the larger community disagrees with or is ambivalent towards the falling cloth hypothesis. The page 73 chart does little or nothing to change anything in this regard. Anyway, that’s my opinion. What’s yours? The paper is A Critical Summary of Observations, Data and Hypotheses by Bob Siefker, Keith Propp, Dave Fornof, Ares Koumis, Rebecca Jackson and John Jackson. It can be downloaded to your computer or any cloud space you use. You can extract a working copy of page 73 by changing your destination printer to PDF file and printing only one page of what is effectively page 75. In Windows 10, you can copy the page into a Notebook tab. This may be the biggest mystery of all? Has anyone ever attempted to create a graph of measured distance between points on a three-dimensional human form (or just a head) and an abstract surface or hypothetical plane using gray-scale tones or luma to represent the data? In other words has anyone produced a heightmap? See http://en.wikipedia.org/wiki/Heightmap? I contend that such a set of measurements would produce a fuzzy, ghost like representation of the body form and not the detailed and realistic image we see on the shroud. This would be true for both linear and curved gray-scales. The image on the shroud does not represent collimated body to cloth distance. The claim that it does is pure fiction. I suggest that the VP-8 Image Analyzer was not used correctly thus leading to a lot of misunderstanding. What is interesting is that if you apply two-dimensional (xy) Gaussian filters to a digital shroud of Turin image, you create a heightmap equivalent. That gives a good plot. Given that it is mathematically impossible to go the other way, just as you cannot find the dividend and the divisor from the quotient, it would be impossible to produce the actual image on the shroud from the data derived. This may be the biggest mystery of all. That is hard to understand. However, what follows is an edited reposting from February that may help. The luminance distribution of both front and back images can be correlated to the clearances between the three-dimensional surface of the body and a covering cloth. This is why many state that the Shroud is a 3D image. . . . The variation in the image density has been analyzed mathematically to render a high resolution 3-dimensional body image. While a photograph can be either a positive or a negative, there is no correlation in a photograph between the density of the imprint and the distance to the object. Uniquely, the image on the shroud appears denser in the areas where the vertical distance to the body from the cloth surface would logically be shorter. This allows the use of a simple mathematical function to recover the 3-dimensional information about the body. The 3-D characteristics present on the Shroud cannot be recovered with any normal reflected light photograph or painting. We are being forced to think of this only in terms of a cloth covering a body. While this may be the case, this is an assumption and not an image characteristic. It should be avoided. A better way to describe this is to use accepted terminology from the world of three-dimensional graphics. The image is a height-field or height-map. With a VP8 Image Analyzer or newer computer software (POV Ray, ImageJ, etc. ), the gray scale values at many xy points in the height-field to the left are plotted as elevation or terrain. The software uses several variables including an altitude scale, a viewing angle and a virtual light source to enable us to visualize the shape. The same software with the same viewing angles and artificial lighting produces the apparent elevation in the face. This is true for the entire body of the man imaged on the Shroud of Turin. Siefker and Spicer state, a normal photograph or a painting is a representation of reflected light as detected by a camera or perceived from an artists viewing position. There is no useful relationship between the gray scale values in a normal painting or photograph and spatial distance as found in height-fields. Virtual reality and gaming software regularly uses similar height-field images (above left) to produce realistic landscapes. NASA uses them to generate 3D surface representations of the moon and planets. Those height-fields are created by radar and lasers. Google Earth software makes 3D renderings of our planet the same way. NOAA produces 3D images of hurricanes from radar data represented in height-fields. 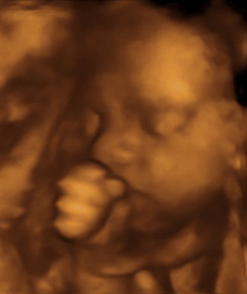 Height-fields are regularly used in new-generation 3D ultrasound sonograms. Note: Height-field is a convenient term. Gray scale values found in such a dataset are applicable for both vertical and horizontal plots. Reader: Has Jackson come to realize this? Picking up on another discussion elsewhere on the internet, my wife and I are thinking, it seems to us that if Jesus’ body had been unwrapped by a person or himself we would not be able to detect this easily on the shroud some 2000 years later. We have often heard that the blood soaked fibers aren’t broken as they would be if someone unwrapped and removed the body. We say this because we think that after 2000 years of rolling and folding the cloth, touching it, maybe brushing it, and holding it aloft outside and in windy cathedrals all of the outermost dried blood would have crumbled, flaked and worn away. There would be no evidence of the original removal of the cloth. In the past, didn’t Jackson make a big deal about this? I notice that the subject isn’t even mentioned in the latest version of the Siefker and Spicer viewpoint. Has Jackson come to realize this? What should we think about this material from The Shroud: A Critical Summary of Observations, Data and Hypotheses, by Robert W. Siefker and Daniel S. Spicer. The body image has a resolution of 4.9±0.5mm but no well-defined contours. This means that that human details such as the nose, lips, and beard are clearly defined, but that the body image seems to disappear if someone looks at it from a distance closer than about 1m. 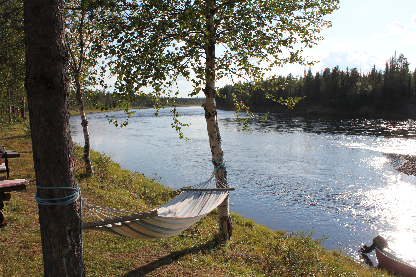 The combination of the low contrast between the image and the background and the lack of defined borders makes the image essentially disappear when viewed from a range closer than 1.5 meters. 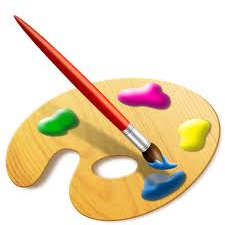 An artist attempting to paint the image would need an assistant to indicate where to paint or an exceedingly long handle on the brush or applicator, scenarios inconsistent with the image’s high resolution. Unless the image has faded? Or if some other artistic method is used. The fact that the image seems to disappear beyond a meter or so is interesting, but what, if anything, does it really mean? What do we think about this material from The Shroud: A Critical Summary of Observations, Data and Hypotheses, by Robert W. Siefker and Daniel S. Spicer. There is no image of the top of the head or of the sides of the body. I agree with this. Can we take a day off from this paper? What is right or wrong with this material from The Shroud: A Critical Summary of Observations, Data and Hypotheses, by Robert W. Siefker and Daniel S. Spicer. Compared to the frontal image, there is no double superficiality of the dorsal or back image. An image formation hypothesis that is able to account for a frontal double superficiality of the face must also be consistent with there being no dorsal double superficiality..
What is right or wrong with this material from page 9 of The Shroud: A Critical Summary of Observations, Data and Hypotheses, by Robert W. Siefker and Daniel S. Spicer. The front image, at least in correspondence of the face, is doubly superficial. This means that the 0.34-mm thick fabric presents a superficial image on one side (about 0.03 mm thick), no image in the middle, and another superficial image on the other side. This double superficial image of the face was discovered when the Shroud backing cloth was removed during the 2002 preservation project. This double superficiality is highly significant in relation to the viability of competing image formation hypotheses. Is this “Established?” Really? It is interesting to note that the Valencia consensus omits this fact. Why? When a cloth is dried on a line, impurities concentrate on both evaporating surfaces; however, more impurities will deposit on whichever surface dries faster. Any concentration of impurities can take part in the image-formation reactions. This can explain the "doubly ­superficial" image. BTW: I really do think I see it. I know. I know. I think I see.